St. Luke United Methodist Women started in 1873 and has evolved into the present Christian membership organization whose purpose is study, service and financial support of missions. We are part of a worldwide organization of over 800,000 members who support U.S. and international projects and partners improving the lives of women, children and youth with their prayers, volunteer and advocacy efforts, and financial gifts. Locally St. Luke UMW supports Northcott Neighborhood House, Children’s Services/Transitional Living, Food Pantry, Safe Harbor, Love I N C, Laundry of Love, Paul Webster Mission, Head Start, Salvation Army and STAR Program for Teenage Girls. Any woman may become a member of UMW if she chooses to join and commit herself to the PURPOSE of the organization through giving, prayer, study and service. We sincerely invite you to become a United Methodist Woman and join us as we put faith, hope and love into action for women, children and youth in our global communities around the world. contact UMW President, Connie Meyer. At St. Luke’s, eight circles meet on a monthly basis for programs on topics of personal growth, spiritual enrichment and missions. They also come together for unit meetings and participate in UMW Activities. A woman can be a member of one of our circles or she can be an at-large member and attend any number of circles or no circle and participate in UMW Activities. We meet to talk, share, learn, give, support, laugh, and eat. Join us for a variety of informative and fun programs. Thursday & Friday 4 p.m. - 8 p.m. and Saturday 9 a.m. – 8 p.m. If you like book discussions, this circle focuses on the suggested list for the UMW reading program. This circle strives to gain wider vision of World needs through the study of materials provided by the national UMW organization that focus on three categories: Spiritual Growth, Social Issues, and Geographical. A group meeting to lift awareness of and raise funds for mission work, have informative programs and serve where we are needed. Meets monthly to promote sisterhood and friendship. We celebrate our lives as older women but welcome all. A group that educates ourselves in the area of mission, social action, spiritual growth, and nurturing community by preparing a tasty dish for food pantry clients. A group of women of all ages that promotes mission by taking on projects to support women and children. 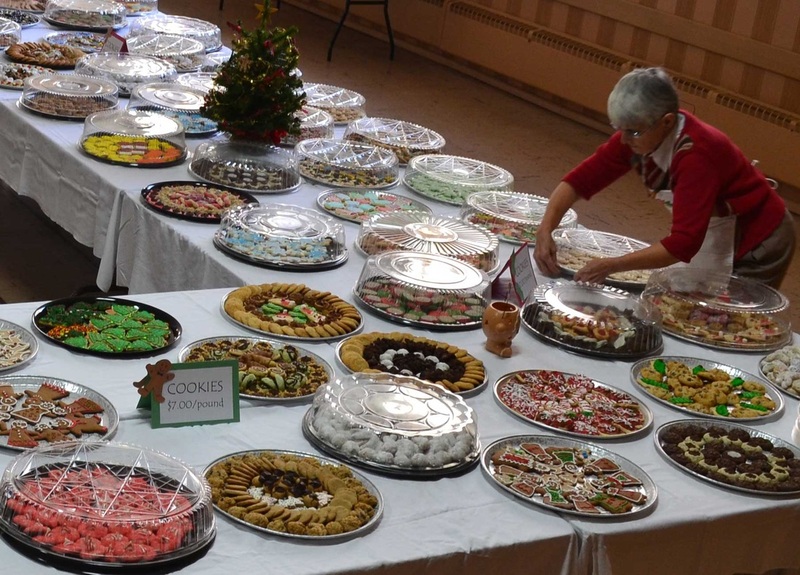 There are four general meetings for all women of St. Luke as well as two events to raise funds for Mission: a Rummage Sale and Holiday Bazaar and Cookie Walk.